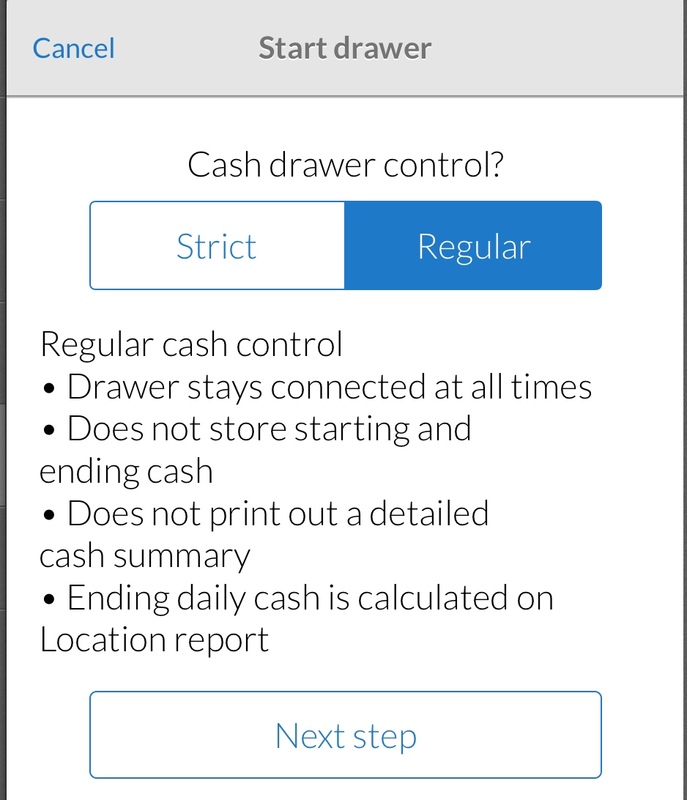 Cash Drawers are managed on the Instore app under the button. You can manage both connected cash drawers and unconnected cash boxes, depending on your setup. Make sure you’ve connected your Instore app to the printer or all-in-one device that will fire the cash drawer, under Settings – Receipt printers. Help connecting a printer. Strict cash control requires re-connecting your drawer each day. It allows you to store starting and ending cash values, assign drawers to specific employees, and produces a detailed cash drawer summary each day. 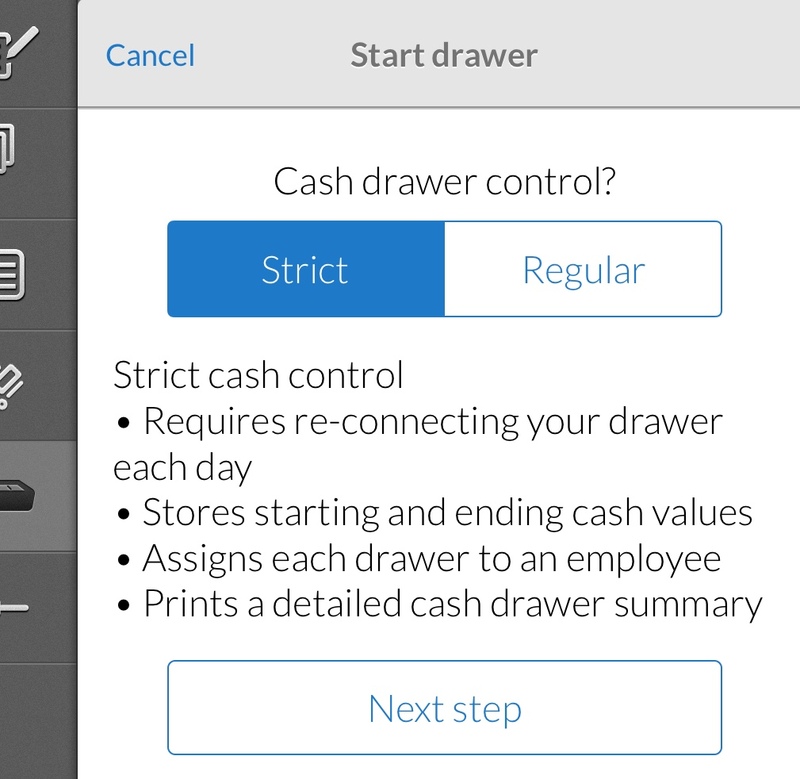 Regular cash control keeps the cash drawer connected permanently. 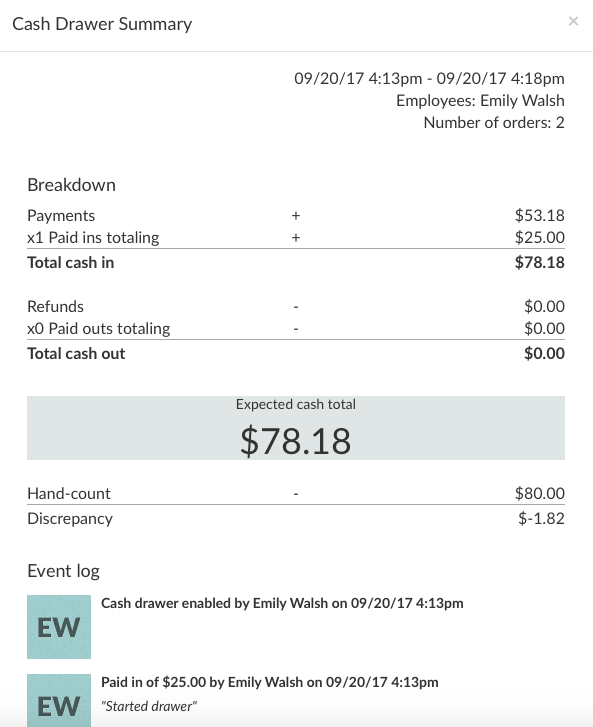 You can still track daily cash with the Location report, but you won’t get detailed cash drawer summaries. Choose hardware allows you to identify the printer for the cash drawer you are connecting to. With Regular cash control, you can leave the drawer connected permanently. To manage daily cash, run a Location report to get your ending cash total.